A 30-day Kickstarter campaign to raise funds for the continued development of + Pool is underway. 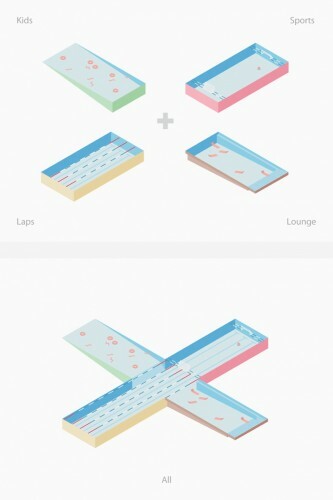 From the creative minds at Family and PlayLab, + Pool is a collaboration to design a floating riverwater pool for everyone in the rivers of New York City. Beginning the next phase of the project, material testing and design, the online fundraising campaign hopefully will raise the initial $25,000 needed to begin physically testing the filtration membranes providing results to determine the best filtration membranes and methods to provide clean and safe riverwater for the public to swim in. 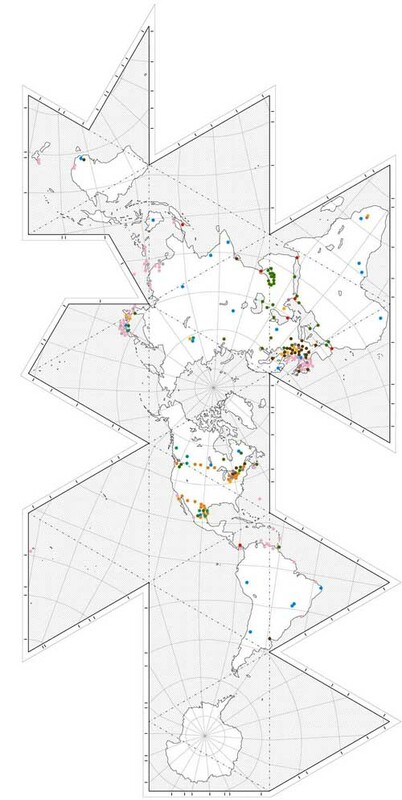 A preliminary engineering feasibility report was initially conducted by Arup New York, which assessed the water quality, filtration, structural, mechanical and energy systems of + Pool. 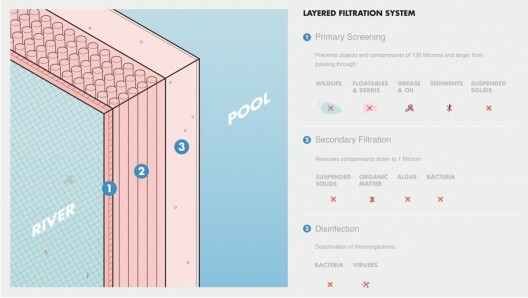 Family and PlayLab launched a Kickstarter online fundraising campaign this month with the ultimate goal of generating enough support to prototype the filtration system by building a full-scale working mockup of the one section of + Pool. Research, design, testing and development will continue through the year in conjunction with permitting, approvals and building partnerships with community, municipal, commercial and environmental organizations. Donation levels for the Kickstarter campaign range from $1 to $10,000 with the hope that everyone interested in cleaner public waterways can get involved. 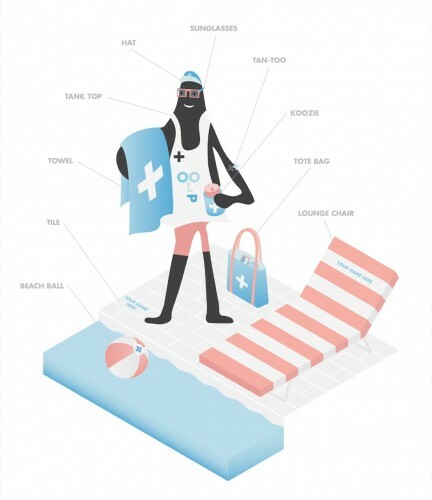 Donors can choose from a variety of incentives and gear up for a day at the pool. For more information about the project and the campaign or to donate click here. Or write to info@pluspool.org. Follow the break for more details about this project and the history of floating pools in New York City, which date back to the early 19th century. 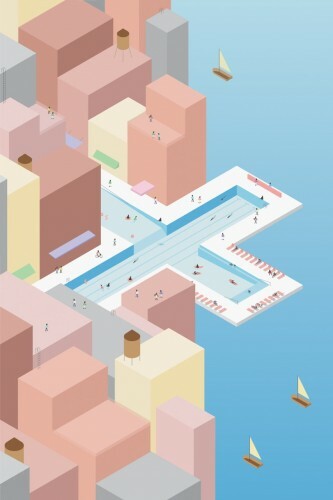 + Pool is the collaborative initiative of design studios Family and PlayLab to build a floating pool for everyone in the rivers of New York City. 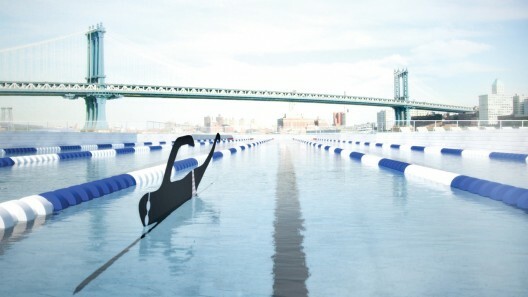 The project was launched with the ambition to improve the use of the city’s natural resources by providing a clean and safe way for the public to swim in New York’s waters. + Pool is for you, for your friend, for your mom, for your dad, for your girlfriend, for your kids, for your boss, for your bartender, for your tamale guy, for your other girlfriend, for New York City, for everyone. Floating pools have paralleled the development of New York City dating back to the early 19th Century. When the city’s elite used lower Manhattan as a resort in the 1800s floating spas were located just off the Battery. After the Civil War the huge influx of immigrants required bathhouses in the Hudson and East Rivers as many were without proper bathing facilities in their homes. In the early 1900s improved plumbing infrastructure and increasing water quality concerns closed the last of the river-borne pools, relocating aquatic leisure activities to more sanitized and inland sites. 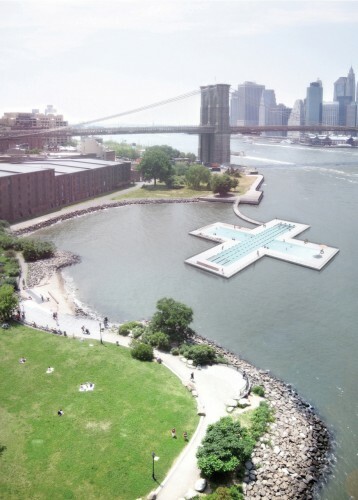 In 1972, the Clean Water Act set forth the goal of making every body of water in the country safe for recreation, and in 2007 the Floating Pool Lady – a reclaimed barge now located in the Bronx – brought back the first semblance of New York’s floating pool culture in almost a Century. Today, as the appreciation for our city’s natural resources becomes increasingly crucial, a permanent floating pool in the river will help restore the water culture so integral to New York City. + Pool should be enjoyed by everyone, at all times, which is why it’s designed as four pools in one: Children’s Pool, Sports Pool, Lap Pool and Lounge Pool. Each pool can be used independently to cater to all types of swimmers, combined to form an Olympic-length lap pool, or opened completely into a 9,000 square foot pool for play.